The weather is finally warming up and it’s that time of year where race season begins. From 5k’s, 10k’s, Spartan Races, triathalons, duathalons, every weekend has a sports activity of your choice. All the work that goes into training for these events as well as the event itself can take a toll on one’s muscular system. We’d like to share a few tips with you on how to prevent injuries this year to help you have a successful season. Stretch – Stretching is very important and beneficial to the function of the muscles. Before and after an event, it’s important to warm up and cool down muscles. Stretching will help reduce injuries during an event if the muscles are warmed up prior to the event. Afterwards, stretching helps to remove any lactic acid that has built up in the muscles. This will help to prevent tightness which can lead to future injury. Hydrate – Since we are our bodies are mostly made up of water, it is important to keep our systems hydrated. Water helps all systems in our body to function more efficiently. Being dehydrated can contribute to muscle cramping, decreased performance ability, and lack of nutrients being able to get to the muscles. Massage – There are so many benefits to receiving massage while participating in sports. The massage therapist can aid in stretching and lengthening the muscle, provide decreased tension for the muscle to operate more efficiently, and increase performance. Many athletes will receive massage two days prior to their event and have reported increased times and stamina. Strengthening – Adding a weight strengthening program can also help to reduce injuries. When a muscle is stronger, it can better withstand the pressure not cave under the tension of the movement. It helps with better body mechanics when moving during the sport. To summarize, stretching, hydrating, massage, and strengthening are ways in which you can help prevent injuries while playing sports this year. 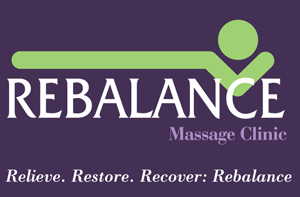 If you are interested in talking to us more about how Rebalance can help you in your sport, please contact us at (732) 422-6364. Don’t stay stuck on the sidelines with injuries!! !